You will immediately receive a CODE COUPON of 5% on your first purchase. Insert the products in the cart and use the coupon to make your purchases! * The brands which do not take part in the initiative are excluded. ArredareModerno.com has always been the e-commerce for excellence and a reference point for home design. All you can find on Arredaremoderno.com will be the right answer to the most refined and demanding needs for a modern and elegant décor. The first advice we can give to all our users is certainly to navigate and search among our proposals in order to deepen your knowledge and open up new ideas for the decor of your home. Our proposals are constantly updated reflecting the fashion of the moment and all new trends in design, innovative materials and new color combinations. The reference point of Arredaremoderno is certainly the Made in Italy furniture, through the most prestigious brands of inspiration for designers around the world. 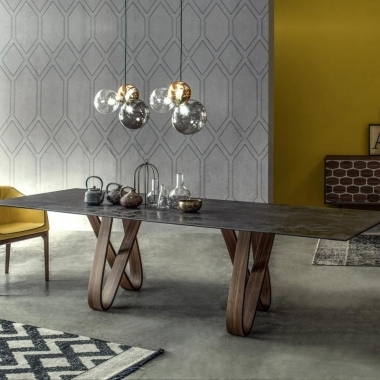 Arredare Moderno is official dealer for brands: Cattelan Italia, Bonaldo, Bontempi Casa, Colico, Domitalia, Driade, Casprini, Felis divani, Infiniti Design, Ingenia Casa, La Primavera, Nardi, Pedrali, Plust, Scab Design, Sitap, Tonelli Design, Tonin Casa, Varier. Buying on Arredaremoderno.com is simple and fun. Visiting our product categories and brands in the utmost ease and tranquility, you will be able to make the right choice at the right price. In addition, we can always contact our operators through our customer service that will provide the full support needed in the choices, in the purchase up to the post-sale phase and the delivery. We've decided to offer our customers the opportunity to seize important promotions through our range of time offers where regularly products will be featured with super discounts and unparalleled occasions to buy your designer furniture! Visit our Discount Codes section to access promotional coupons with extra discounts to be enjoyed at the time of purchase always up to date and referring to our brands and product categories. Through our Outlet and Promotions category you will find offers with up to 70% discounts on the price list. ArredareModerno.com offers everyone the best price on the web through the Guaranteed Lowest Price Promotion. Also, always to ensure our customers the best condition, we offer a range of Free Services always guaranteed. Finally, we would like to thank all our visitors for a good navigation and a good purchase! Igloo Stool Scab entirely made in transparent polycarbonate. Stackable and fireproof stool. 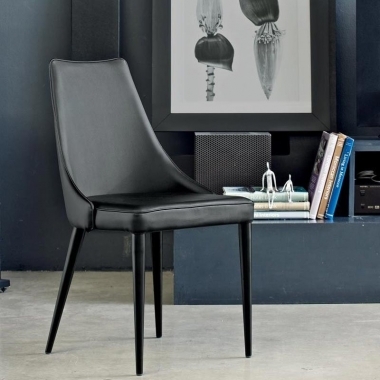 Clara Chair Bontempi Casa with steel frame. Completely upholstered and covered in eco-leather, fabric or leather, with matching or contrast edge in different finishes. 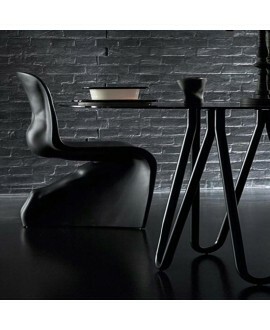 Him Chair Casamania with polyethylene structure. The chair is made by rotational molding. Him is available in two finishes and in different colours. Phantom mirror Fiam, wall mirror in high temperature fused glass, back – silvered, flat mirror. It can be hung horizontally or vertically. Big Table Bonaldo extendable with frame legs in painted steel, Corten steel, copper bronze or burnished. Top in lacquered or veneered wood, ceramics or glass in different sizes and available in different finishes and colors. Wooden extensions. Gumball Armchair Plust Lightable entirely made of polyethylene, ideal for indoor and outdoor. Butterfly extendable table Tonin Casa, with wooden base, aluminum track and top in tempered glass, ceramic or porcelain stoneware. Honey sideboard 2 doors 2 drawers Tonin Casa, box with wood frame with 2 doors and 2 central drawers with mirror effect and wood elements. Lacquered or chromed metal frame, inner shelves in transparent glass. Spyder Wood Table Cattelan Italia, made with matt white, black, graphite painted steel, wheatered brass or polished stainless steel, or in satin bronze, satin titanium painted steel, or with wooden base in Canaletto walnut, dark wengè or Heritage oak. Top in Canaletto walnut, natural oak, Heritage oak or burnt oak. Anna Chair Cattelan Italia with frame in chromed or black chrome steel, matt white, black, graphite painted steel or titanium embossed steel. Covered with fabric, eco-leather, synthetic nubuck, micro nubuck or leather. The table is an important element of furniture that identifies and distinguishes the style of your home. In addition to its convivial function, the table represents symbolically and realistically the element of meeting, dialogue and sharing in the family. The importance of the table, its meaning, and its central position in the furnishing make it a functional design object. Arredare Moderno features a wide range of extending tables and fixed tables of a purely modern style but also adapted to the more classic and contemporary style. Versatile and functional, the tables are characterized by a more refined design, the result of researches and innovation studies on the materials used and the reliability and stability of the product. The special wooden, aluminum or steel structures, the innumerable finishes of top table, the different sizes and shapes make it possible to choose the table according your needs creating a unique and elegant environment.